Before joining the University of Tasmania, Dr Chase was a faculty member at Oregon State University (USA), and a postdoctoral fellow at the Monterey Bay Aquarium Research Institute (USA). Zanna received her PhD from Columbia University (USA) and Masters and undergraduate degrees from McGill University (Canada). Dr Chase has taught oceanography across all levels at UTAS, from participating in the development of the IMAS MOOS, to teaching at first year, second year, and third year of the Bachelor of Marine and Antarctic Studies, and serving as IMAS Honours Coordinator (2011 & 2012). She designed and taught KSA724, Oceanographic Methods, which in 2013 took nine students in the Masters of Marine and Antarctic Studies course on a research voyage aboard R/V Southern Surveyor from Sydney to Hobart. 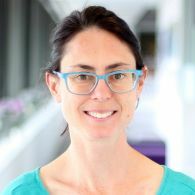 She also coordinates Biogeochemistry (QMS512) as part of the joint UTAS-CSIRO Quantitative Marine Science (QMS) program and serves on the QMS steering committee. Dr Chase's research aligns to the University's research theme of Marine, Antarctic and Maritime. Her research focuses on the interaction between chemical cycles and biological activity in the oceans, and how these are affected by climate. Understanding of these interactions, both in the modern ocean and the paleo-ocean, is necessary to predict the oceans' response and contribution to future climate change. She is particularly interested in the role of iron as a key micro-nutrient to support biological productivity. Zanna uses a variety of geochemical proxies in sediment cores, including long-lived, naturally occurring radioisotopes to reconstruct particle flux, and redox-sensitive metals to reconstruct ocean oxygenation. All of Zanna's projects are collaborative in nature, across disciplines and countries. She collaborates with scientists in Australia, New Zealand, Spain, Switzerland, UK, Canada and USA. She also collaborates with colleagues in Earth Science at UTAS, as well as scientists from the AAD and CSIRO. Zanna has published 39 peer-reviewed papers in her career, including one in Science and one in Nature Geoscience. More than 3/4 of her publications are in the top 25% of journals in the discipline and 20% of her papers are in journals ranked in the top 10% of their discipline. Throughout her career, Dr Chase has been awarded more than $5.3 million in competitive grants, with $2.3 million as lead chief investigator. At UTAS, she have been awarded $740K in Category 1 grants since 2010, including a Future Fellowship in 2012 and an ARC Discovery Grant in 2014. She has have raised over $8.2 million in competitively-awarded ship-time (90 days) from the Marine National Facility, including $0.9 million as lead CI. This voyage will train Masters students from the University of Tasmania in oceanographic methods. Students will map changes in temperature, salinity and nutrients along 2,500 km of the eastern Australian coast. Biological sampling will document the changes in ocean plankton from the subantarctic waters near Tasmania to the tropics. By observing the change in current biological communities along a south-to-north temperature gradient, students will gain an appreciation of changes that may occur over time due to climate change. Students will gain valuable training in oceanographic field techniques, data analysis and communication. This project aims to characterise the sources and biogeochemical cycling of iron and associated trace elements southwest, southeast and northeast of Tasmania. This project will generate the age models that will underpin research into the past melting behavior of the Mertz glacier, and its interaction with climate change, from four sediment cores recovered from the Mertz slope. We propose to establish a new Environmental Radioactivity Research Centre, equipped with ultra-low backgroundand high-resolution alpha and gamma spectrometry systems, radon detectors and radium delayed coincidencecounters. The centre will address a critical demand in Australia for precise analysis of a large suite of natural andartificial radionuclides, which will be used as tracers and chronological tools to investigate key questions andchallenges to the mining and energy, archaeological, agricultural, and forestry sectors. The facility willsubstantially increase expertise and training in radionuclides in Australia, and promote high-level researchcollaborations and outputs of both national and international significance. Understanding how, where and why ice sheets lose mass is a priority theme established by the international scientific community to meet the challenges of global change. The Totten Glacier is a major outlet glacier draining a large area of East Antarctica and has the potential to contribute 3.5 metres to global sea level rise. It has some of the fastest thinning rates and the potential to make significant contributes to global sea level rise. Recent evidence suggests that this unprecedented melting is part due to incursion of warm water at its base. This project aims to better understand the interaction between the ocean and Totten ice shelf during climate warming, by examining past warming events in marine sediment cores. Mineralogical and geochemical assessment of the sediments will provide key information on ice sheet and ocean circulation dynamics. Study of the sediment provenance will also allow us to probe the subglacial Wilkes Land basement geology drained by the Totten Glacier. The largest uncertainty in predictions of future sea-level rise is our understanding of how the Antarctic ice shelves will respond to warming of the surrounding oceans. We will investigate the affect of changes in ocean circulation on the melting of the Antarctic ice shelf in a warming climate state. Seawater samples from the Mertz glacier region will be used to document the current ocean-ice configuration and nearby marine sediment cores will be used to go back in time, to when sea-levels rose abruptly, as the climate transitioned out of the Last Glacial Maximum. This project will generate proxy records of bottom water oxygen and bio-productivity at three ODP Leg 202 sites on the south-central Chile margin back to the last interglacial period, reconstructing the full glacial cycle and the response to millennial-scale climate events. This will allow us to address two main scientific questions:Question 1: When did oxygen first decrease in the SE Pacific, within the sequence of events beginning at glacial inception?Question 2: How did oxygenation of the SE Pacific respond to the millennial-scale climate events that occurred during the last glacial period? The magnitude of future increases in global sea level is a question of critical societal and economic relevance. However, current projections of both short-term and long-term sea level rise are highly uncertain. For a mid-range climate scenario, for example, the most precise statement that can be made is that it is likely that global sea level will rise by between 32 and 63cm during the 21st century (Church et al., 2013). The largest single source of uncertainty is associated with the mass balance of the Antarctic ice sheet. In the short-term, it cannot even be stated with certainty whether Antarctica will have a positive or negative impact on global sea level (Church et al., 2013). In the long-term, the possibility exists that melting of the coastal shelves around Antarctica will lead to an irreversible commitment towards ongoing sea level rise. However, because of limitations in our understanding of icesheet dynamics, the magnitude of this commitment could lie anywhere between 0.6 and 3m (Golledge et al., 2015). Reducing these uncertainties is critical for climate change adaptation and mitigation.Through a ground-breaking integration of data and models, this project will use the history of the Antarctic ice sheetto improve our ability to predict future changes in global sea level. Data on past climates can tell us how the Antarctic ice sheet and global sea level have evolved. We will use this data to confront the ice sheet models that are used to predict future changes. By constraining the models, we will use the Earth's climatic history to improve our understanding of the physics of the Antarctic ice sheet. This will allow us to constrain the role of Antarctica in drivingchanges in global sea level, and thus allow for improved projections of future sea level rise. The project will therefore address a question of considerable societal and economic relevance. The scarcity of iron limits biological productivity and carbon uptake in the nutrient rich waters of the SouthernOcean. This project will explore for the first time the role of undersea "hot spot" volcanoes in supplying iron tosurface waters, thus linking the solid earth and the biosphere. The team will measure iron abundance,reactivity and nutritional value in buoyant plumes emanating from vents near Heard/McDonald Islands,Australias only active volcanoes. The project will estimate the hydrothermal contribution to regional biologicalproductivity and extrapolate to the whole Southern Ocean. This will benefit Australia by identifying ironsources that govern productivity and carbon uptake of an economically important ecosystem. This project will use radiocarbon dating to develop and refine agemodels for sediment cores from the Australian region recovered by the Ocean Drilling Program. The age models will enable reconstruction of key oceanographic processes across the most recent glacial-interglacial cycles of the Quaternary. In particular, with separate funding, we will reconstruct the origin and magnitude of dust deposition to this region, in order to constrain the nature and impact of iron fertilization of biological carbon uptake during coldglacial climates. The scarcity of iron limits biological productivity and carbon uptake in the nutrient rich waters of the Southern Ocean. This project will explore for the first time the role of undersea "hotspot" volcanoes in supplying iron to surface waters, thus linking the solid earth and the biosphere. Existing data indicate that fields of submarine volcanoes extend for several hundred kilometres from Heard and McDonald islands, among the world's most active hotspot volcanoes. We will produce a three dimensional, high-resolution bathymetric and backscatter map of the seafloor surrounding the islands. We will map the water column for chemical signatures of hydrothermal activity. From this mapping we will identify and sample candidate active submarine volcanoes, a first for this region. We will measure iron abundance, and reactivity in buoyant plumes over and downstream of these volcanoes, and evaluate physical mixing processes that might deliver this iron to surface waters. This research will be the first to quantify dust deposition in the Australian region using 230Th normalisation. It will extend existing records to the south, thereby identifying whether there is any dust transport during the LGM along a path from Australia to Antarctica. The rate of dust deposition to any site in the ocean depends on many factors, including wind strength and position, source area size, and the relative importance of wet versus dry deposition. By characterising the rate of accumulation, provenance and size spectrum of terrigenous material at three sites within the SE Australian dust plume, analyses will help constrain the evolution of these factors through time. There is growing evidence for a decrease in ocean oxygen concentrations over the past few decades, but the causes are not understood. This is a problem because small decreases in ocean oxygen content can substantially increase the extent of critically low oxygen zones, leading to decreases in marine biodiversity, loss of ocean fertility and increases in greenhouse gas emissions to the atmosphere, thus amplifying climate change. This project will clarify the links between climate change and ocean oxygen content. Outcomes of this project include a reconstruction of the oxygen content of Southern Ocean waters since the last ice age, understanding changes in oxygen due to physics and biology, and improved oxygen proxies. Zanna enjoys working with students at all levels, including undergraduate students, honours students and masters students; she encourages motivated students at these levels with an interest in ocean chemistry and climate change to contact her about possible projects. Zanna is currently looking for a PhD student to join her group as part of a new ARC Discovery Project on Southern Ocean paleo-productivity. More information is available here.